First, FYI: Exactly one week from today, 29 July 2016, Windows 10 will no longer be a free upgrade. So, if you’ve been thinking about upgrading to 10, now’s the time! Next, I recently ran into a problem trying to upgrade a puter from Windows 7 to Windows 10. 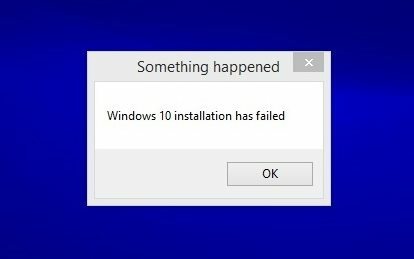 Something happened – Windows 10 installation failed. There are many “fixes” for this Something Happened Error, but none of them worked for me. After a bit of digging, I found a solution that works! But that ends up taking a lot of time (trust me), and there’s a much simpler way to figure out exactly what’s causing the issue: the Windows 10 installer error log! What a concept, eh? Congratulations, you just figured out the problem! When the Win 10 installer tries to copy the BCD (Boot Configuration Data) from your hidden system partition, the copy fails. This step is what happens juuuust before the puter reboots to really start the Windows 10 installation. Okay. The BCD is stored on the System Partition, which is a hidden 100MB to 300MB partition on your hard drive that usually sits in front of your C:. But, you can’t see it normally in Explorer. Nevertheless, you need to repair it. 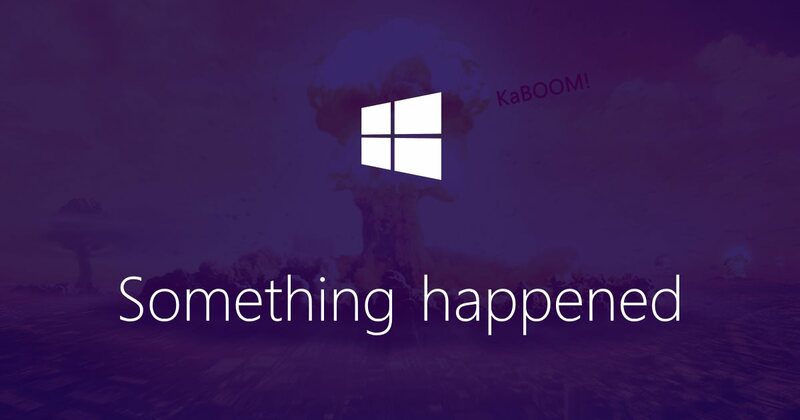 For that, we’ll need to use the Win RE (Windows Recovery Environment). This will get you into a “clean” Win RE Command Prompt from which you can fix the BCD. If you get the message “The handle is invalid“, you know you’re on the right track. What you just did: change into the Boot directory on your System Partition, use the attrib command to make the BCD file editable by you, rename the BCD file so you have a backup, and then run the BCD rebuild command (which works much better now since the original BCD file no longer exists on the drive after you renamed it). If it works, your BCD has been rebuilt and all is well. 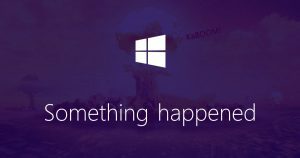 You can now reboot your puter into Windows 7/8, and try rerunning the Windows 10 upgrade. That will run the disk checking utility on your System Partition and fix any errors – just in case you’ve got a bad sector or something on your hard drive. Anyway, reboot, and this time the Win 10 install should work! It seems the key is to totally rebuild the BCD file, and then you’re good to go. Hope this saves somebody else some grief!